Lauched yesterday, the new Moderator feature in YouTube lets channel owners poll their viewers and subscribers, to increase the dialogue. 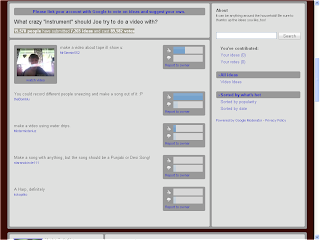 Here's an example - musician Mystery Guitar Man (860,000 subscribers, over 70 million total views) has asked people to suggest an instrument for him to use in a future video. 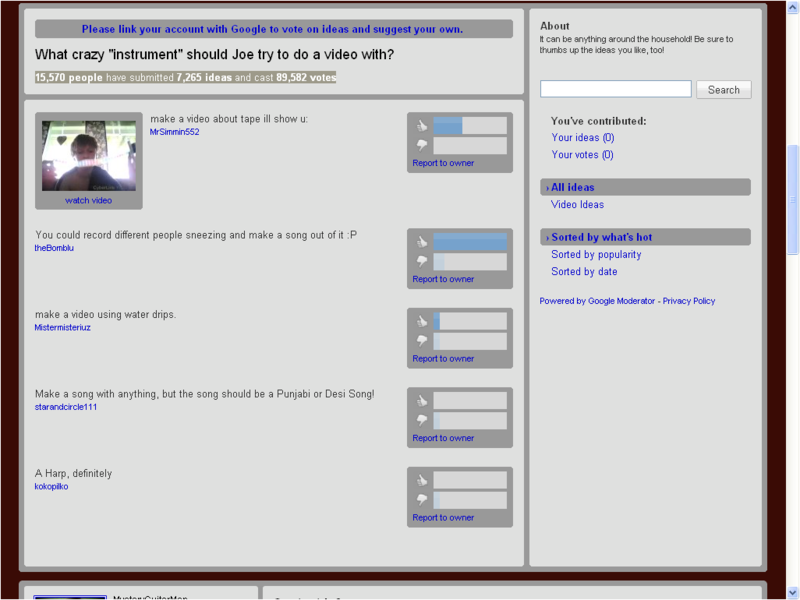 Users can suggest an instrument, others can vote on them. In under 24 hours he's had 15,570 people submitting 7,265 ideas and casting 89,582 votes. It's insane how popular this stuff is!